The 2018 Kingfield POPS will feature the Bangor Symphony Orchestra conducted by Lucas Richman with collaborating guests – Adam Ezra Group and Gypsy Tailwind Reunion featuring Anna Lombard…And solo performances by Shawn Tooley, Golden Oak, Gypsy Tailwind Reunion, thenAdam Ezra Group and the Western Mountain Trash Can Band. 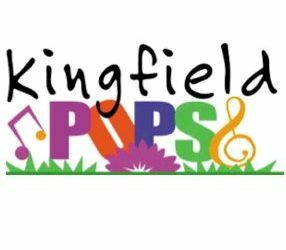 The Kingfield POPS will be everything our audience has come to expect over the last 16 years, with a few refreshing changes that showcase our commitment to providing music programming for all ages. Once again the BSO performance will end our program and conclude with a Fireworks Finale!!! Off street parking is required. Follow signs for POPS PARKING. Bringing a wagon or wheeled cooler will assist with getting your items to the field. HANDICAP parking is on Kennedy Farm. Don’t forget to bring a blanket/tarp or low-back chair, flashlight, an extra layer or two and rain gear. No pets, no open flames or any fireworks are allowed. Picnics are welcome. Food vendors will also be onsite. Pop up tents are only allowed in designated areas so that the view of the stage is not obstructed for others. Tickets prices are $20 through May 15, 2018, then $25 until gates open on June 30th, 2018. Prices at the gate are $30. Youth 17 and under are free!!! GATES OPEN AT 4:30pm. Friday Night Art Walk—June 29 from 5-8 p.m.
Kingfield POPS Road Race—June 30 at 7 a.m.
Visit www.kingfieldpops.com for area activities, lodging and dining. The weekend activities will go on, rain or shine. For the latest updates on the day of the event, visit our website.